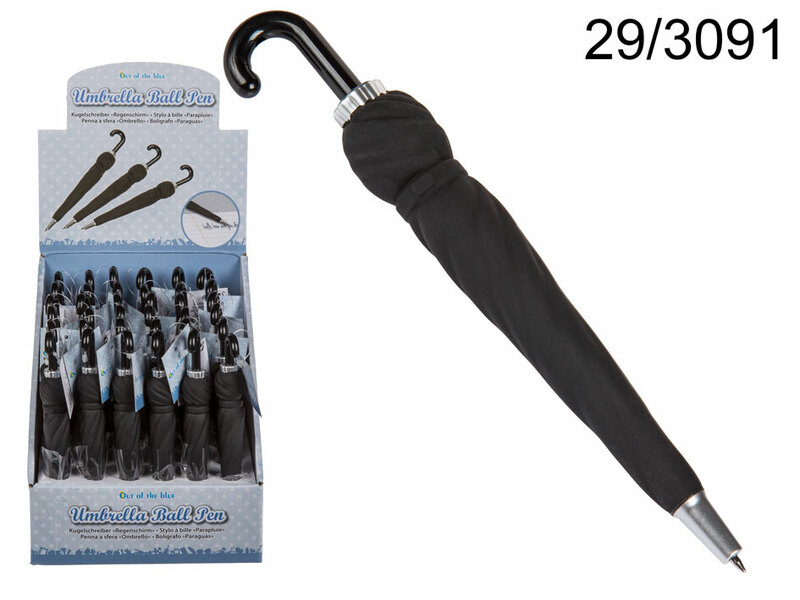 Plastic pen that looks like an elegant closed black umbrella with a hooked handle. Colour of the ink: blue. Casual gift idea for everyone. When buying 36 pieces display stand is free of charge. Dimentions: 16 x 2 x 2 cm. Dimentions: 16 x 2 x 2 cm.